"We aim to provide you with the highest quality, best value 1st aid training in the East Midlands! 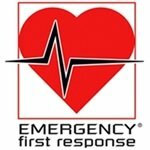 We run HSE accredited, first aid courses in; Leicester, Derby and Nottingham. We are also very happy to come and train at your own location. See our LOCATIONS page for more details on all venues. Our courses are up to 50% cheaper than some well-known providers. All of our first aid courses include FREE Automated External Defibrillator (AED) training. Please see our WORK and PUBLIC pages, for more details on all of our courses and cost summaries. 5% for 2-3 attendees, 10% for 4-6 attendees, 15% for 7-9 attendees, 20% for 10-12 attendees. You can get up to a further 10% discount for booking any course at your own location (a minimum of 4 attendees is required and this discount depends a little on your exact location). Please use our REQUEST A COURSE form , or just call us! to arrange your training. We understand the commitment that you are making in undertaking a first aid training course. It is very important to us that you enjoy the course and learn effectively. Our trainers are highly professional and have many years of instructional experience. They will do their utmost to ensure those being trained get the maximum benefit from attending the course. All of our courses are highly informative, interactive and fun! The Emergency First Response (EFR) First Aid at Work (Great Britain) course, is a Health and Safety Executive (HSE) approved first aid course, for the purpose of meeting the Health and Safety (First Aid) Regulations 1981. This programme is customised to UK Resuscitation Council basic life support protocols and nationally accepted first aid protocols, to meet the statutory needs of employers in England, Scotland, Wales and Northern Ireland, who need at least one First Aider on the premises. All of our work courses far exceed the current first aid training recommendations and guidelines from the Health and Safety Executive. We accept all major credit cards, PayPal payments and bank transfers.